What to do in Cortina d'Ampezzo at spring and summertime? Cortina d'Ampezzo and the Dolomites offer a wide selections of activities to do and places to visit during this period of the year. 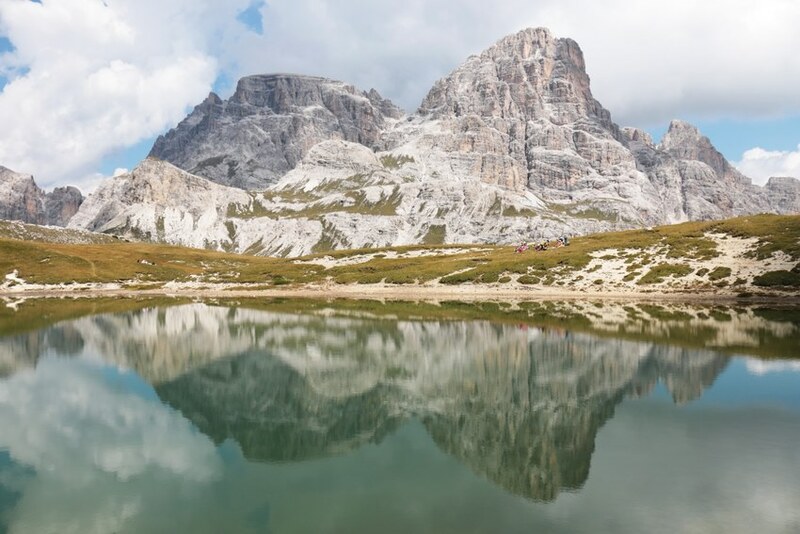 Spotting the most romantic views in the Italian Alps is one of them and the small emerald green and sky blue mountain lakes are some of the most beautiful lakes you can visit and admire in the Dolomites. If not the most beautiful lake in the Dolomites, the Lake Ghedina is one of the most magic lakes of Northern Italy. Nested in the centre of a larch wood, the legendary warrior Ey de Net came to its shore and asked the sylphs living here to tell him if he really had to challenge the Fanes people. The sylphs replied affermatively and a long and estenuating battle started. But this is lost in the mist of times and legends. The only sounds you will be hearing on the lake shores is the gentle sound of the lake waves and the breeze moving the wood branches. A litte lake and beautiful lake in the Dolomites whose waters can be either green or...pink. It is just the result of the lake's surface reflecting the surrounding peaks of the Dolomites during the clear sunset at springtime. If you plan to stop there and have dinner on the lake shores you'd better bring some mosquito repellent. The best way to reach the Lake Limides is to park your car at the parking lot of Passo Flazarego and follow the sign of track 441. Surrounded by the white calcareous rocks of the Dolomites the lagoon-like blue waters of the Lake Sorapiss can really take your breath away. No car allowed in the lake area. The best way to reach the lagoon like Lake Sorapiss is walking along the track 215 from Passo Tre Croci. Legends, fairy tales and stories live in the Dolomites and they are often used to explain the origins of places, traditions and habits. A legend about a green, big and ugly dragon tells the story of the Lake Federa origins: the lake is actually a shell the dragon used to bring with him . One day he digged the shell deep down in the snow covering the region. When the snow melted in the middle of the springtime, the water filled the shell and the shell became Lake Federa. The best way to reach the Lake Federa is to follow the track sign to Sella Croda da Lago from Passo Giau. The legend tells the lake was born from the tears of King Sorapiss who lost her beloved daughter Misurina. The lake Misurina is the largest lake in the Dolomites. One of the most romantic past time for locals and tourists alike is to take a lazy stroll around the lake. 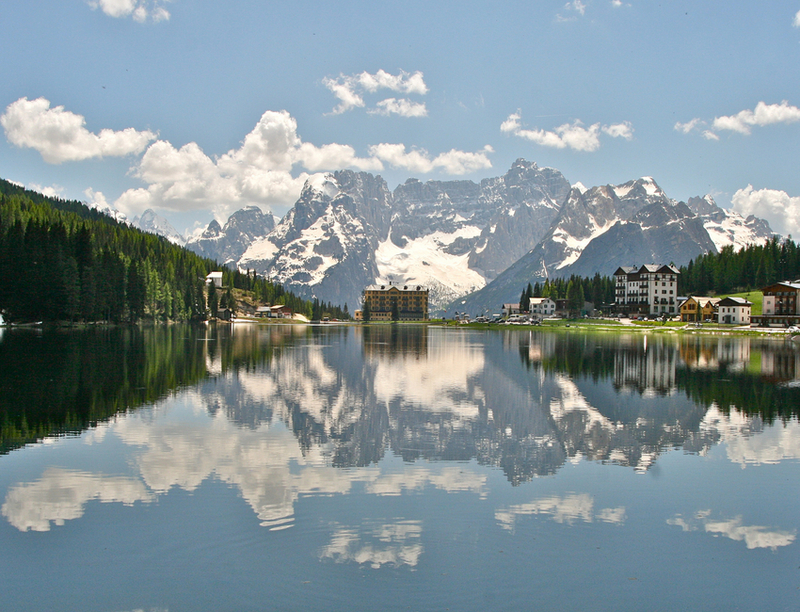 The Lake Misurina is just 6 miles from Cortina d'Ampezzo by car. If you are well trained and love trekking why not reaching it on foot? After you excursions to the lakes close to Cortina in the Dolomites, Nature and its relaxing and regenerating vibes await for you in our Nature rooms at Ambra Cortina.